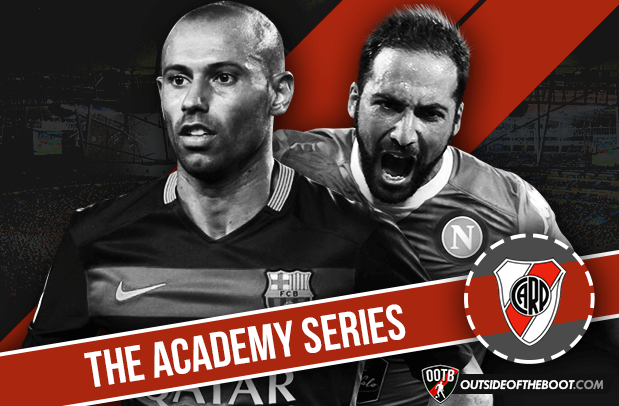 This part of this series takes a look at the famed River Plate academy. As one of the biggest clubs in Argentina, River Plate and its prestigious academy have produced countless world class players over their 114-year history. A club associated with the three G’s – Ganar, Gustar y Golear (Win, Enjoy & Thrash) – tries to instil their young charges with this philosophy from an early age and ensure that those on their books are technically outstanding, comfortable on the ball and, above all, intelligent footballers. From Di Stefano and Labruna to Crespo and Ortega, River’s squad always boasts its fair share of home-grown talent and given the harsh economic reality of Argentinian football, there is not only the expectation but the necessity that the club’s conveyor belt keeps churning out starlets. Nicknamed El Payaso, the gifted attacking midfielder recently called time on his playing days back where he started at River Plate. A brilliant dribbler with great vision and sublime passing, Aimar was one of the finest talents of his generation, with Leo Messi citing him as one of his main influences. In four years at River, he won three league titles and a Copa Libertadores, while also winning the 1997 U20 World Cup with Argentina, firmly endearing himself to the Monumental faithful. However, there was always the sense he never fulfilled his full potential as injuries curtailed the latter end of his career. Signed by Valencia from River for €24m in 2001, he won two La Liga titles and a UEFA cup with Los Che – what in hindsight would be the pinnacle of his career – before moving on to Zaragoza and then Benfica. Aimar also made over 50 caps for the Argentinian national team, scoring 8 goals. Simply put, Aimar will always be remembered as a gloriously old fashioned playmaker whose magical genius captivated many an audience over the years. Making his debut as a 16-year-old in 1998, the zippy young Saviola quickly notched up 45 goals in 86 appearances for River to earn a reputation as one of the hottest wonderkids in world football and even won the 1999 South American Footballer of the Year at just 18. A move to Barcelona followed where he averaged around twenty goals a season in his first three years in Europe. A tricky, mobile forward with an eye for goal, Saviola claimed gold for Argentina at the 2004 Olympics before also helping the Albiceleste to second place at the Copa America that year. Deemed surplus to requirements at the Camp Nou, El Conejo spent time on loan at Monaco, where he reached the Champions League final, and Sevilla before moving to Real Madrid. Having lost some of his trademark pace, Saviola still managed decent spells at Benfica, Malaga and Olympiakos before returning to River Plate this year. El Jefecito was the heartbeat of the Argentina side that got to the World Cup final last year and actually made his first of 119 caps for the national side before he had made his debut for River Plate. Despite only turning out for the Los Millonarios for a couple of years before his move to Corinthians, Masche remains one of the clubs most loved players for his all-action, combative displays at the base of the midfield for club and country. Having established himself as an important player for Barcelona, often at centre back, he has won almost everything there is to win and will go down as one of the country’s most decorated players of all time. A fan’s favourite wherever he has been, the hope will be that River are able to repatriate him for an Indian summer in the red and white where it all began. Though yet to truly convince in the Premier League on a consistent basis, graceful attacking midfielder Lamela has been one of the best players River has produced in the last few years. Having generated a lot of attention from a young age, the highly-touted youngster made his River debut in 2009 and quickly marked himself as one to watch with his slaloming gambetas. However, with the club in dire straits, Lamela was part of the ignominious River team that was relegated for the first time, although it must be said that they would have been a lot worse off without Lamela who, already the key creative force, was one of the few positives from that dark chapter in the club’s history. A sensational couple of seasons at Roma underlined his potential before his ill-fated move to Tottenham but, at 23, he still has plenty of time to get his career back on track. Capable of moments of jaw dropping skill such as his rabona goal against Asteras, he is becoming a regular for the national team squad and will hope to kick on to truly establish himself. The veteran defender currently at Manchester City made his debut for River back in 2001, having arrived at the club three years previous. In around 50 appearances, Demichelis won two league titles before moving to Bayern Munich for €4.5m. Initially used as a defensive midfielder, he was converted to a centre back and won 11 major honours during his seven and a half year spell in Bavaria. He linked up with ex-River boss Manuel Pellegrini at Malaga, helping them to avoid relegation in 2011 and then was a vital part of their surprise run to the semi-finals of the 2012-13 Champions League. Seemingly in the twilight of his career, he followed Pellegrini once again, this time to Manchester City and saw out a tricky start to become first choice centre back as they won the league, as well as returning to the national team for the 2014 World Cup. A favourite of River fans and Championship Manager aficionados alike, Cavegol’s journeyman career may not have panned out as many expected when he exploded onto the scene in 2001 but has nevertheless been hugely influential during his three spells at the club. 72 goals in 119 games and three league titles indicated that the burly striker was on the path to stardom but ended up somewhat surprisingly with moves to Spartak Moscow and Bordeaux. He returned to his boyhood club in 2011 after their relegation and, as captain, his and David Trezeguet’s goals secured the restoration of their top flight status a year later. A season at Villarreal, also recently relegated, and Pachuca followed before another homecoming to River where he would win another league, a Sudamericana and Libertadores. 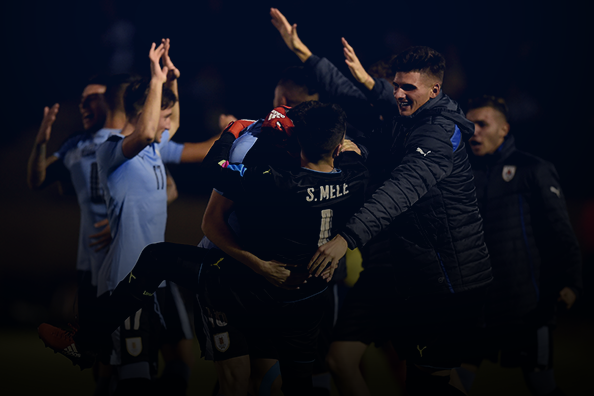 Now at APOEL in Cyprus, you still wouldn’t rule out one last hurrah for los Millonarios. Despite making his debut in Colombia as a thirteen-year-old (! ), Falcao moved to River in 2001 and became part of their academy set-up. He made his debut for River in 2005, scoring 7 in 11 in his first season before a knee injury kept him out for a prolonged period. Under Diego Simeone he won the 2008 Clausura and then a year later joined Porto for only around €4m. The goals began to rain in and in his second season won the league and Europa League double with the Dragões, scoring an incredible 18 goals in the latter. A big money move to Atletico Madrid followed and El Tigre continued his rich vein of form, winning another Europa League and a Copa del Rey. At that point, Falcao was probably the best front-to-goal striker in football and was capable of scoring all types of goals. Injury ruined the fairy-tale World Cup dream with Colombia and his subsequent time in England has tarnished the reputation of one of the most deadly strikers of the last decade. That yard of explosive pace may be gone but Falcao’s name will join the long list of marksmen to have passed through River’s famed academy. One of the many players to suffer the curse of the ‘next Maradona’ tag, D’Alessandro has still forged an interesting career for himself. El Cabezon made his debut in 2000 as a 19-year-old but it was only after his starring role in Argentina’s triumph at the 2001 U20 World Cup that he properly broke into the River first team. Most renowned for his dribbling and technique, particularly his own invention ‘La Boba’, he was also an expert at set pieces and quick passing, generally making him a handful for defenders as he would flit between the lines. Three league titles later, D’Alessandro was snapped up by Wolfsburg for €9m where he spent three years before loan spells at Portsmouth and Zaragoza, making the switch to La Romareda permanent in 2007. In yet another surprising switch he opted to return to Argentina with San Lorenzo before moving to Brazilian side Internacional. It has been at the Nação Vermelha that D’Alessandro has finally settled and, at 34, is still a vital player, having won the 2008 Sudamericana and 2010 Libertadores, as well as six Campeonato Gauchos, for the Porto Alegre side in over three hundred appearances. Currently banging in the goals for Napoli, powerful centre forward Gonzalo Higuain is yet another prolific marksman who emerged from the River semillero. Pipita made his debut in 2005 and notched up 8 goals in 18 appearances in his breakthrough year. It was a brace in the Superclasico against Boca in October 2006 that really announced his arrival as a talent to watch and Real Madrid swooped to bring the striker to the Bernabeu later that year for €12m. Despite a slow start, Higuain’s record of 107 goals in 190 league game games was highly impressive and saw Napoli fork out a hefty €40m for him in 2013. The strong, hardworking striker has continued to find the back of the net and has been a mainstay in the Argentinian national team over the last 5 years. Despite a poor showing at the last World Cup and Copa America, it’s hard to ignore his blistering form and Higuain remains one of the most consistently lethal strikers around. Yet another fleet-footed, twinkle-toed attacking midfielder to emerge from River’s academy is Manuel Lanzini, currently making an eye-catching impression on loan at high-flying West Ham. Still only 22, it feels as if Lanzini has been around for ages having made his debut as a 17-year-old back in 2010. After getting a lot of game time, he seemed destined for a prominent role in the River first team but after the club’s relegation he was surprisingly loaned out to Fluminense for a year. He returned but was a bit part player under Almeyda before rediscovering his form with Ramon Diaz in charge and increasingly became an important player as River won a cathartic league title. The expectation was a move to Europe but instead a surprise move to UAE side Al-Jazira materialised. Following his quick adaptation to life in the Premier League, Lanzini will be looking to make the move permanent and become the latest Argentinian to light up the league. 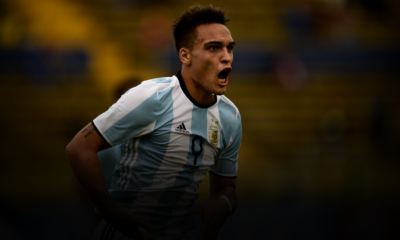 In recent years there has been a steady flow of prospects emerging from the River Academy, with the likes of Roberto Pereyra, Lucas Orban, German Pezzella and Lucas Ocampos all making strides in Europe as well as with the aforementioned Lamela and Lanzini. Head and shoulders the best young player in Argentina over the last couple of years, defensive lynchpin Matias Kranevitter is clearly the standout talent of the current crop of River prospects. A move to Atletico Madrid beckons at the end of the year and made his national team debut in September as Argentina look to groom a long-term successor to Mascherano. Of those remaining, attacking midfielder Gonzalo ‘Pity’ Martinez and striker Lucas Alario are exciting young players but came through at Huracan and Colon respectively and can’t really be classed as River products per se, whereas Colombian defender Eder Alvarez Balanta enjoyed a meteoric rise and is still a fantastic prospect but has severely dipped in form over the last six months or so. 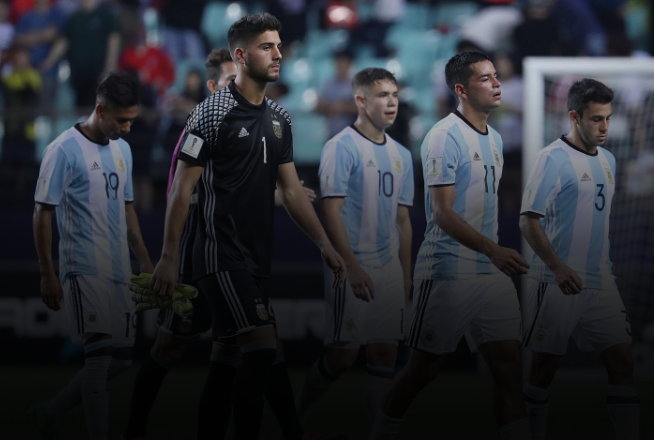 There is also a posse of River academy graduates who made up the core of the Sudamericano winning Argentina U20 squad. Impressive goalkeeper Augusto Batalla was courted by Real Madrid but turned them down and has all the makings of a future Argentina number 1, while elegant young centre back Emanuel Mammana has already made his senior national team bow and looks an outstanding prospect. The buccaneering Leandro Vega is able to fill in across the defensive line or shielding the back four, midfielder Tommy Martinez, currently on loan at Tenerife, has a delightful range of passing and Sebastian Driussi has already proven himself a versatile, interesting forward option and of the group is probably the most established in Gallardo’s first team. 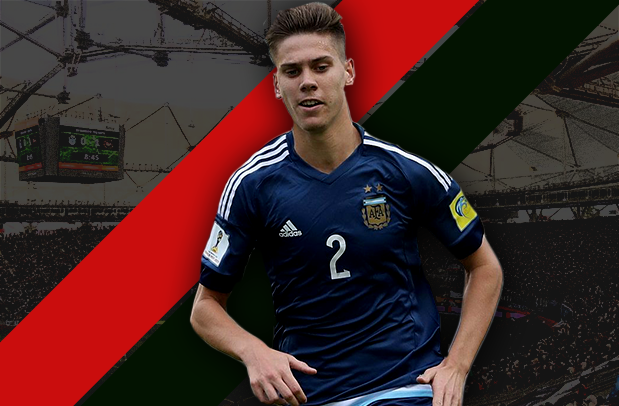 Furthermore, fox-in-the-box striker Gio Simeone has impressed while on loan at Banfield, though doubts still remain, and there are the makings of a good player in Lucas Boye. Guido Rodriguez is a decent young defensive midfielder who could get more playing time after the departure of Kranevitter, while Ecuadorian midfielder Abel Casquete and 17-year-old wonderkid Fede Lopez are on the fringes of the first team and are names to keep an eye on.